So this is a thread I am making for some poppies and larkspur I recently planted. I made little paper pots to germinate them in. The ones in white paper are poppies and in brown are larkspur. I might add another to the mix sometime in the future when I get more time but this is it for now. They were planted Sunday so there is no sprouting yet. I used some potting soil from the hardware store (miracle gro is the only brand my dad lets me get in stores but I can get other fertilizers from amazon) and I watered and added a little bit of 4-12-4 to each one. I will water them a little bit but frequently until they sprout then water in a normal matter since things often get dry and die in my house. 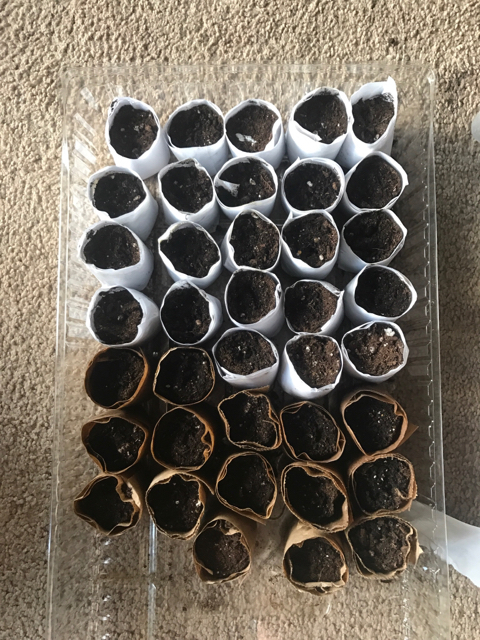 So none of them have sprouted yet as it has only been a few days but I did also plant some passion glower and lavender that should take about a month to sprout. I have cut back watering to every other day and I only fertilized once when they were planted and I won't again until they sprout as to prevent damping off. So the poppies are germinating and I have a couple seedlings. I watered them today because the soil was starting to dry out and I don't want germination to stop. 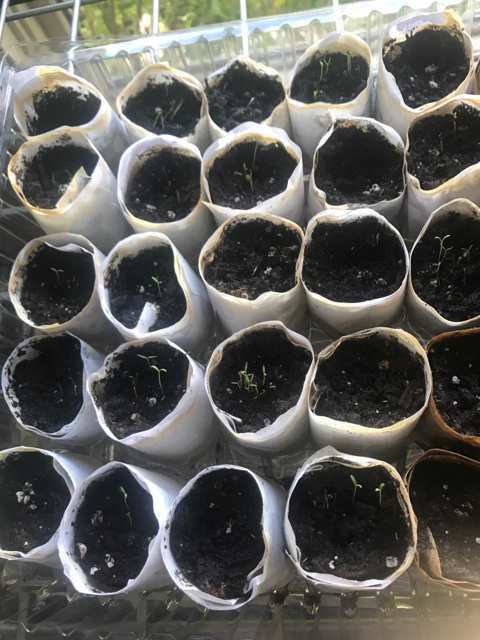 After I watered I noticed a little mold growing on the paper pots so I will have to watch that and make sure it doesn't spread to the plants. I will cut back on watering and only do a couple milliliters as needed. I have not fertilized in a while to help prevent damping off. I will fertilize the sprouted seedlings only in a few days when they need more water. So I haven't watered in a while and they were getting a little too dry for comfort so I mixed up some fungicide in some water and lightly sprayed on the soil to try and help with the mold. I will monitor closely to be sure they aren't too wet or too dry and to make sure the fungicide is working. They might have grown well. Looking forward to have an insight on pictures.